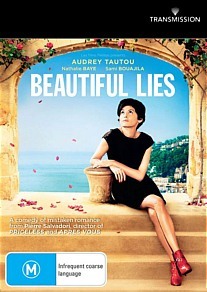 Beautiful Lies DVD Review Beautiful Lies isn’t perhaps quite as beguiling as some of Tatou’s former efforts, but it is a smart and breezily enjoyable film nonetheless. Like the rest of the world I became totally enchanted by Audrey Tatou after seeing her in Amelie, and followed her career with interest over the next several years to see whether she’d turn out another performance with anything approaching the same gamine, effortlessly fey magic. The answer was: sort of, but not really. There was Dirty Pretty Things (2002), a well-received denunciation of the exploitation of illegal immigrants, the so-so Spanish Apartment released the same year, the follow up from Amelie director Jean-Pierre Jeunet, the aptly titled A Very Long Engagement (2004) and Tatou’s 2006 headlong foray into Hollywoodland The Da Vinci Code, in which the actress spent the majority of her time furrowing her dainty brow and having things explained to her by the ever so wise Professor Langdon. In my always humble opinion her best film since the once-in-a-lifetime Amelie was 2006s Priceless, known in its native land as Hors de Prix, in which the Gallic beauty portrays a vapid gold digger who sleeps with a succession of married men in order to fund her luxury lifestyle. Written and directed by Pierre Salvadori, the film was a charming, frolicsome and frequently hilarious take on love and materialism, a quintessentially European film that that displayed a level of innocence and whimsy many American directors and their earnestly handsome stars could only dream about. Salvadori and Tatou have once more joined forces, this time for the comedy Beautiful Lies, which was released in 2010 and has recently been brought to local shores by the thoughtful folks at Transmission. It’s a worthwhile if occasionally derivative entry into their burgeoning canon, in which the ‘romantic comedy of errors’ sub-genre so ably exploited by the French is once more mined to considerable effect. Tatou stars as Emile, a vivacious hair salon owner who one day receives a passionate but anonymous love letter from her shy, thoroughly smitten employee Jean. Unimpressed she tosses the letter in the bin (in Jean’s presence, no less) but the letter’s fulsome poetry gives her an idea for cheering up her lovelorn mother, who is still devastated at being left years earlier for a far younger woman. 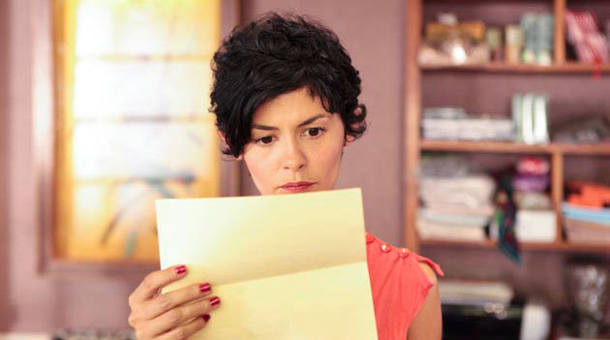 Copying the letter verbatim she slips it in her mother’s mailbox and even enlists Jean’s reluctant help in maintaining the subterfuge. This being a Gallic romp, however, things quickly start getting complicated, and a bizarre love triangle of sorts develops. Beautiful Lies isn’t perhaps quite as beguiling as some of Tatou’s former efforts, but it is a smart and breezily enjoyable film nonetheless. Tatou and her co-star Sami Bouajila make a believable on-screen couple and play impeccably off one another as the storyline progresses, and Nathalie Baye is likewise perfectly cast as the alternately morose and sultry older woman desperately in need of some lovin’. Films propelled by romantic misunderstandings might be considered somewhat formulaic at this point, but when the formula is this much fun, who really cares?